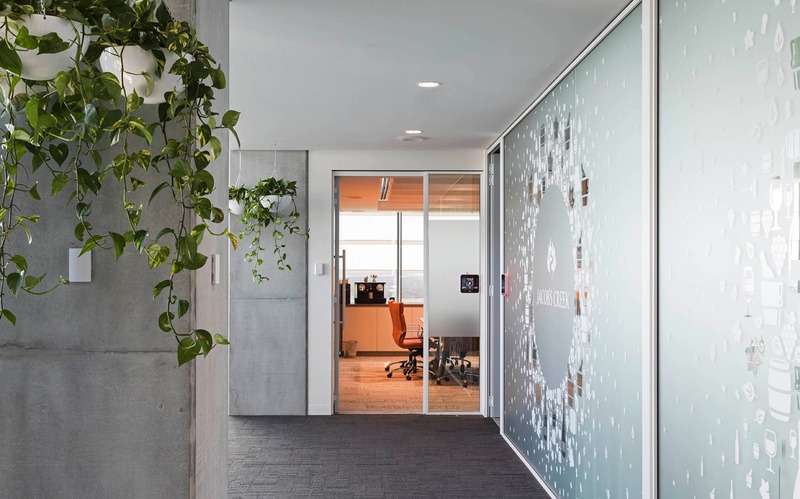 The brief was to reflect the premium nature of their brands through a level of sophistication of finishes and refined detailing. 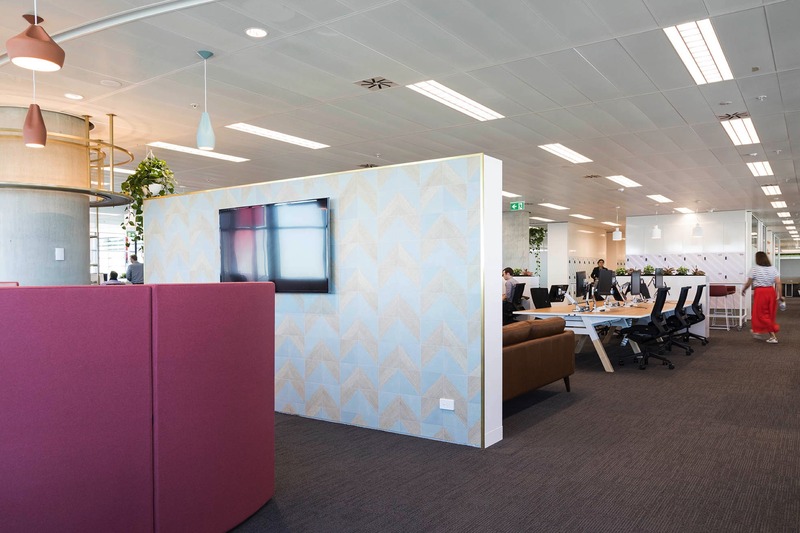 A large strategy piece created the roadmap to the new way of working with an agile, neighbourhood approach adopted. 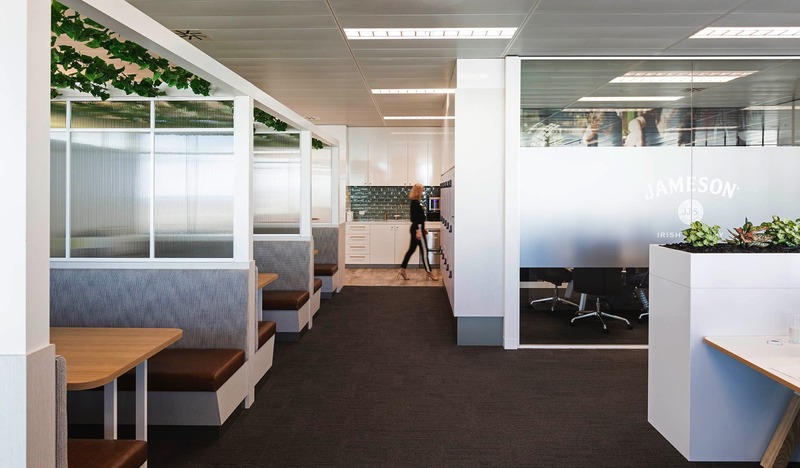 Consequently we designed a variety of work settings from collaborative lounges to high benches, innovation zone, huddle spaces, quiet working, enclosed meeting spaces, wine tasting lab and formal boardroom. 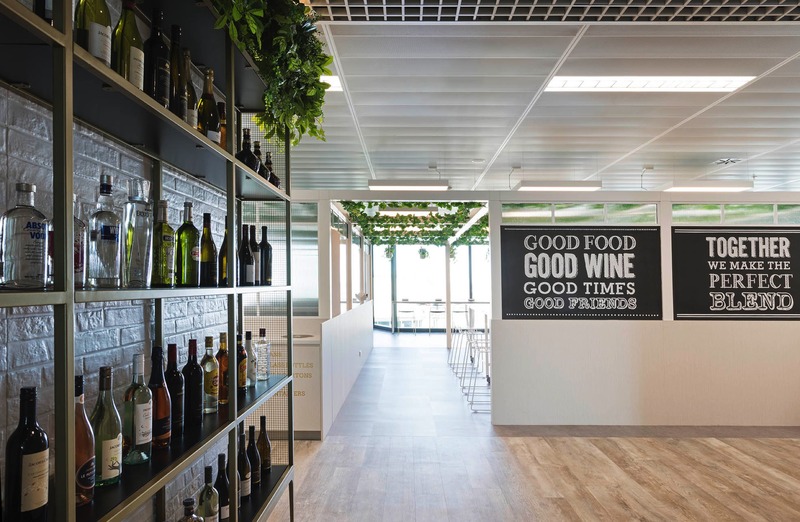 Pernod Ricard’s tagline ‘Moments of Conviviality’ was translated into the new environment by ensuring that all spaces were inviting and softened through an abundance of vines and plush upholsteries. 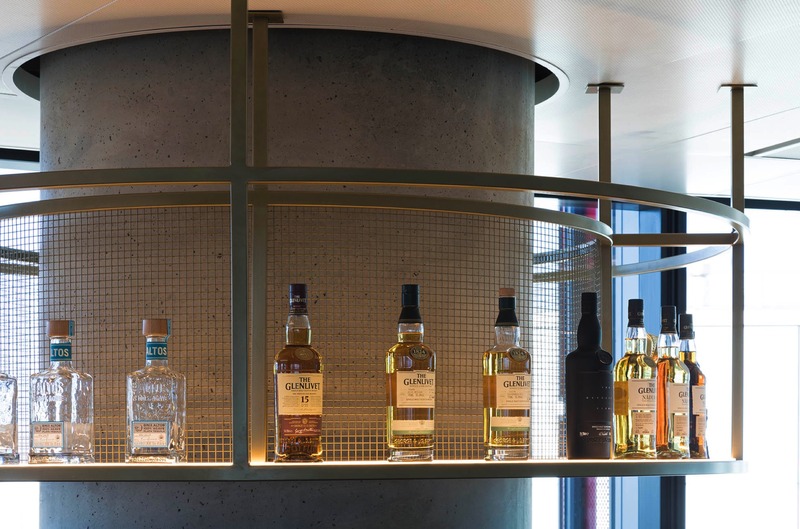 A celebration of their varied brands was realised through environmental graphics and bespoke joinery display areas for bottles of wine and spirits. 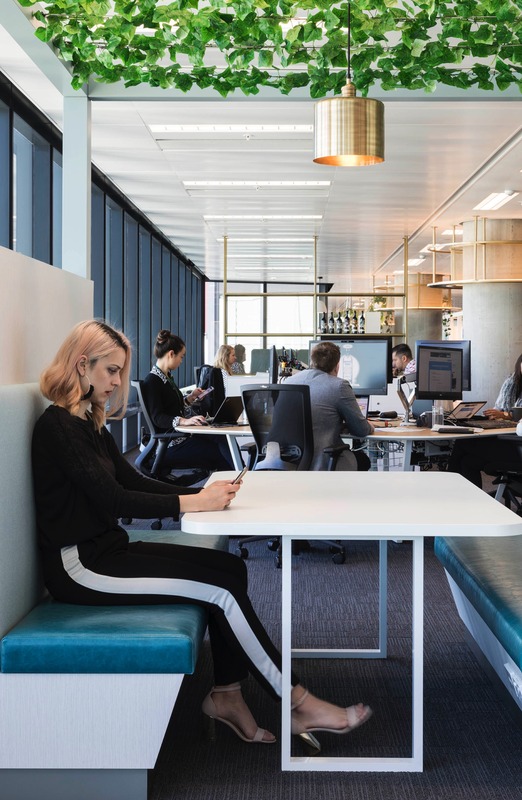 The outcome is a flexible, connected and collaborative environment that drives innovation through great planning, design and technology. 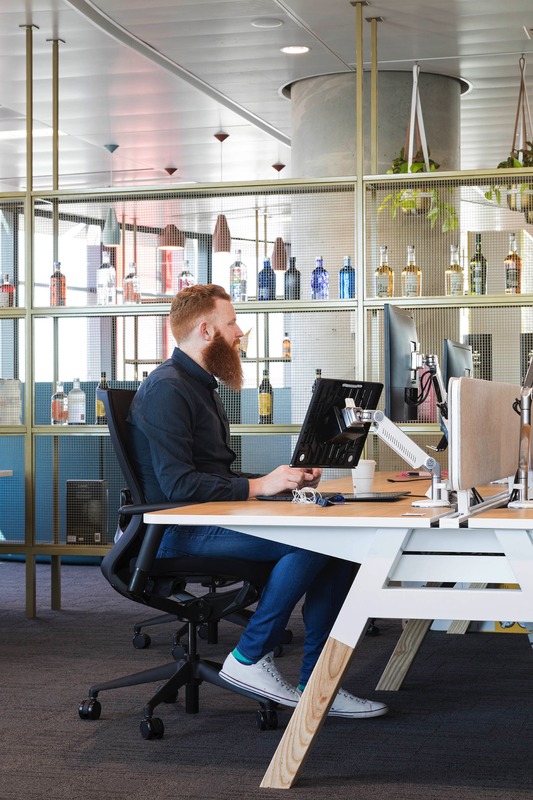 The approach we took in our design thinking was unlike that of a typical workplace project. 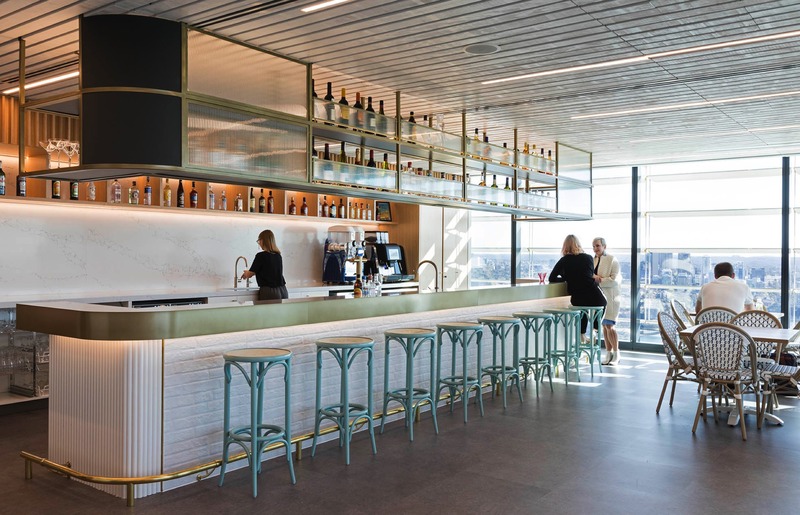 The emphasis placed on hospitality resulted in the design of a bar that operates more like a commercial bar than a workplace breakout. 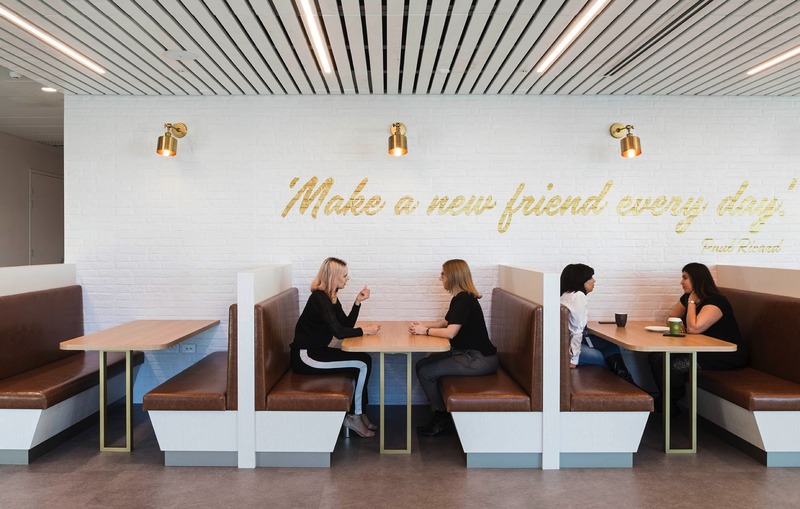 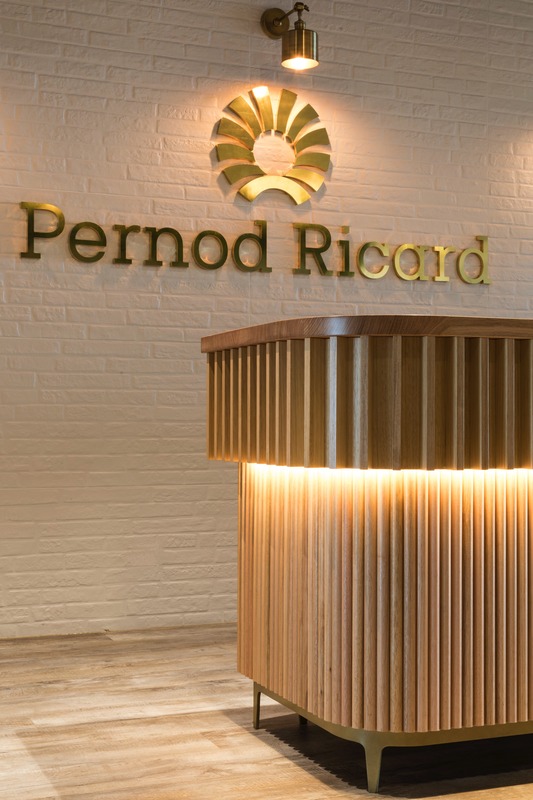 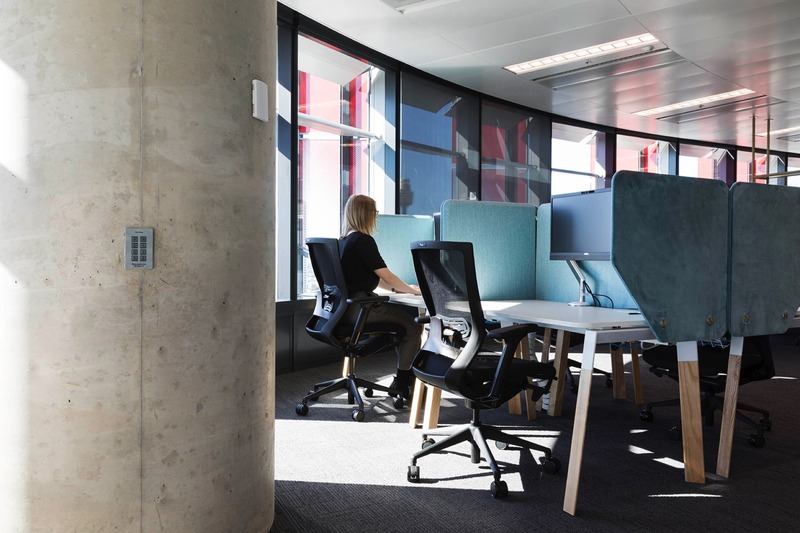 In this way, the Pernod project is a great example of how contemporary workplaces are continuing to evolve and previous distinctions between work and recreation are challenged.